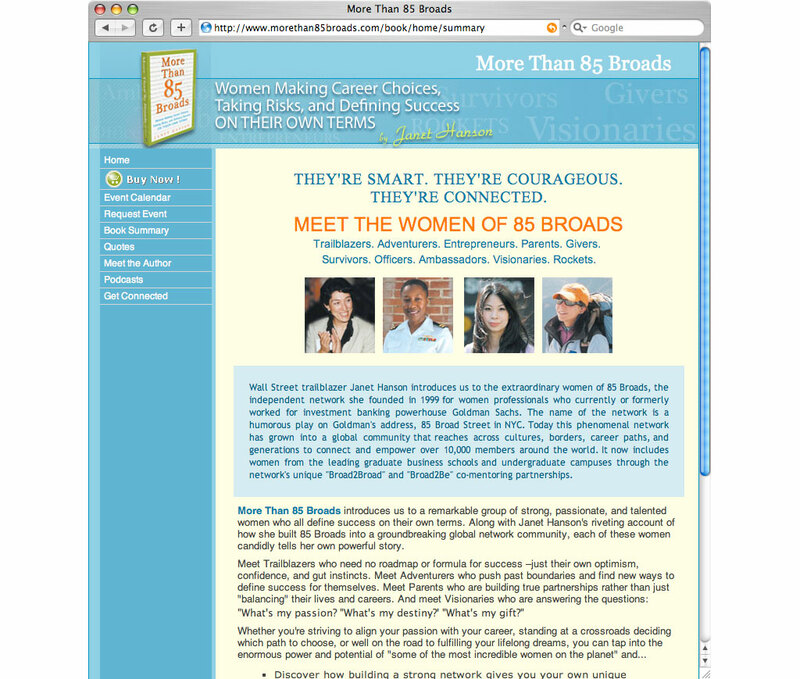 85 Broads is a global network of 30,000 trailblazing women who are connected worldwide. 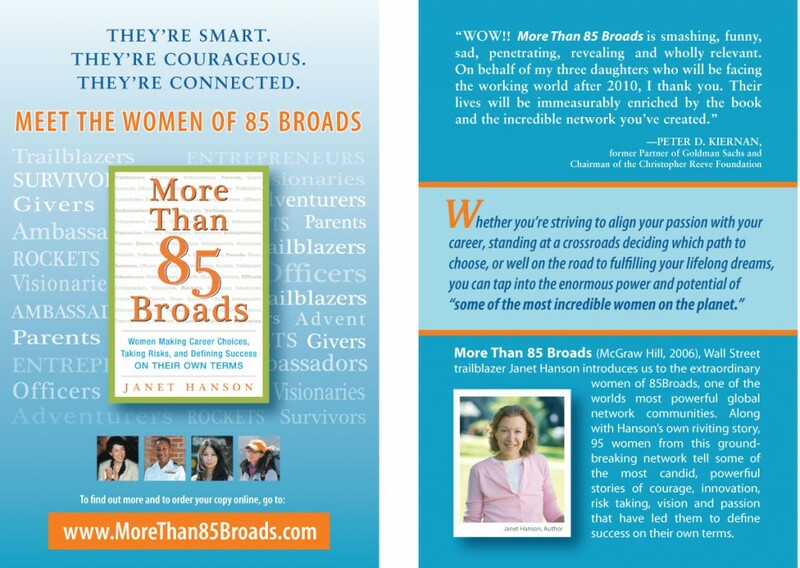 The “founding members” of 85 Broads were women who worked for Goldman Sachs at 85 Broad Street, the investment banking firm’s former NYC headquarters. 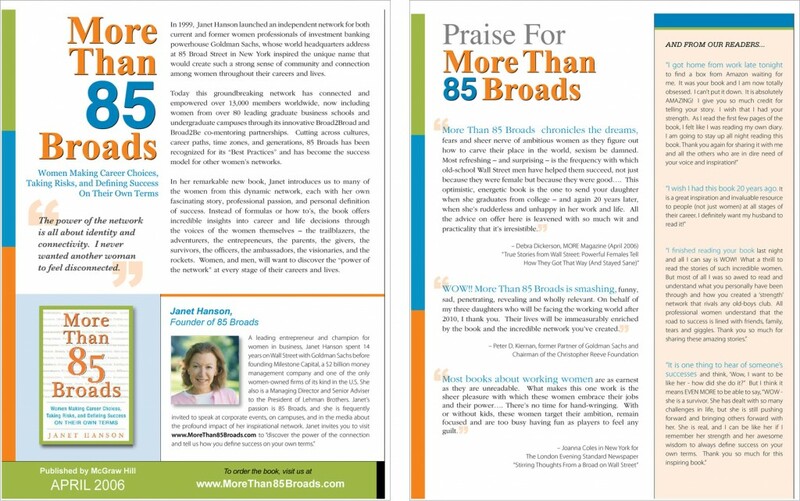 We worked for 85 Broads to create a website, and promotional material for the book, More Than 85 Broads, written by its founder Janet Hanson. 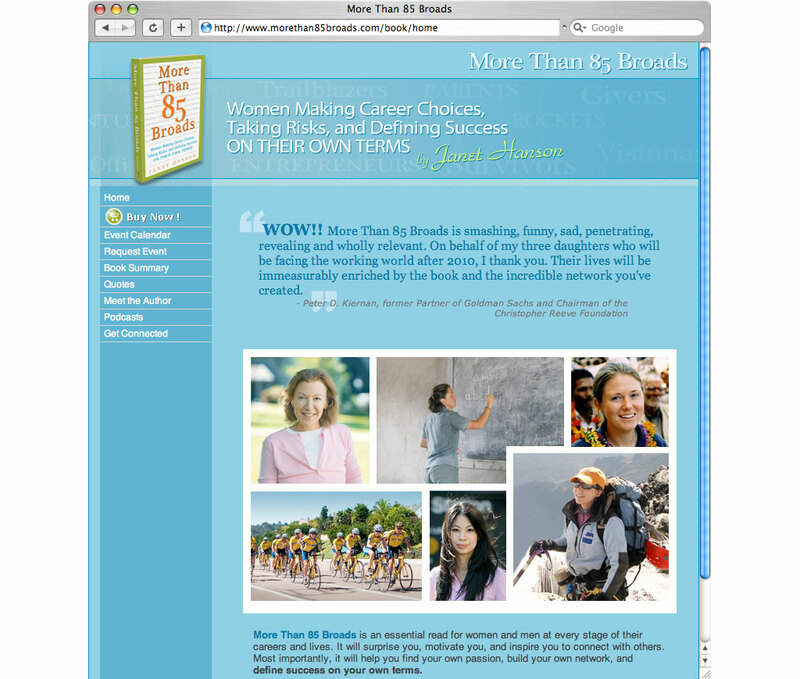 Promotional material included: press kits, bookmarks, flyers, banner ads and large display posters for speaking events.